Overuse of high radiation diagnostic devices has caused occurrences of cancer to increase exponentially. According to an article in the journal Archives of Internal Medicine, 70 million CT scans were done in the United States alone in 2007, up from 3 million in 1980. 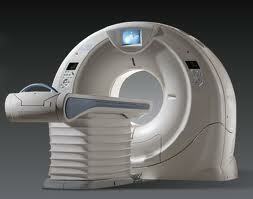 Further, out of those patients who underwent CT scans in 2007, 29,000 of them are expected to develop cancer. It has become undeniable that overexposure to radiation is a health hazard that significantly increases a patient's risk of developing cancer. Public awareness of the health risks associated particularly with CT Scans alongside climbing imaging costs to pay for Health Reforms make radiation imaging less attractive to patients over other imaging methods. This pressure has caused industry imaging manufacturers like General Electric Co, Siemens AG and Philips Electronics NV to be strongly motivated to turn around public opinion by developing safer radiation based imaging equipment. Despite the fact that there are safer imaging devices like MRI and Ultrasound, CT is still widely used because it is ideally suited for viewing and quickly diagnosing internal bleeds and stroke, which in emergency situations, justifies using CT in spite of the health risks. This has left a niche area open for medical device companies to create innovative solutions for CT scanners that facilitate reducing radiation dosages while maintaining high image quality. In answer to this need, Company Medic Vision Imaging Solutions, has developed and commercialized the SafeCT device, which is compatible with any CT Machine. SafeCT is an add-on device for CT equipment. Through image post-processing using a 3D non-linear noise reduction algorithm, SafeCT compensates for the image quality lost in low radiation dosages. According to Medic Vision's testing, they were able to produce diagnostic quality images at reduced radiation dosages of up to 77%. Innovations like Medic Vision's SafeCT device help significantly lower the risk of patient radiation exposure, however it is as of yet unknown whether this will be enough to remove all health risks associated with radiation imaging. Clearly further research is needed in this area. I'm glad someone has finally looked into creating lower radiation medical devices. Its important to test without any harmful issues to the body. Radiation has always been a problem in medical devices. Although they help with your diagnosis, too much of it is not good for you. Luckily they have developed the devices to prevent too much exposure. Its blessing to have this equipment, based from the fact that radiation from scanning equipment can pose cancer risk.